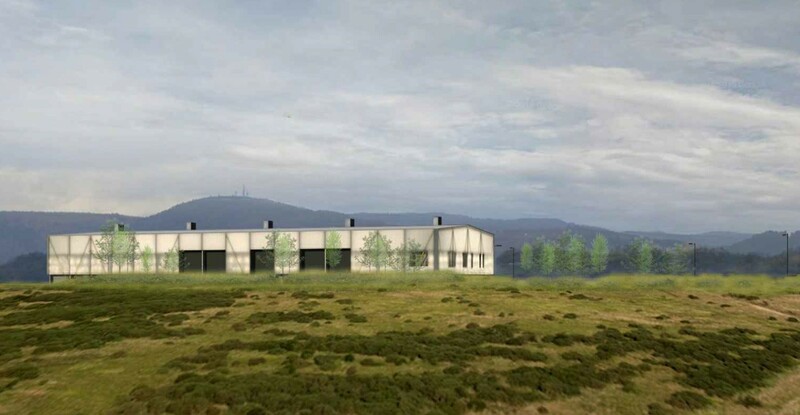 Highland Council has put forward plans for a 3,000sq/m coastal materials recovery centre in Inverness to prevent biodegradable municipal waste from finding its way to landfill. 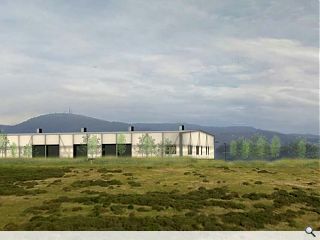 Adopting an expressed steel structure the single span warehouse will rise above a ‘heavy plinth’, employing a transparent polycarbonate panel system to reduce apparent impact. Oversize entrance ‘cut-outs’ will puncture this envelope to aid wayfinding. 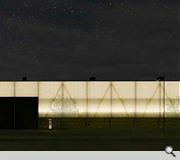 During the day this will allow sight of its inner structure while at night the warehouse will ‘glow’ from inner light, a conscious allusion to the maintenance of a clean and clear environment. The central facility will process up to 83,000 tonnes of the 140,000 tonnes of waste produced each year across the authority area, recovering recyclable material and dispatching the remainder for incineration. Currently, just 43% of waste in the Highlands are recycled with the remainder dumped in landfill. A pathetic attempt to be 1980’s “high tech”. There is a good reason why structure is enclosed by cladding and this is NOT the time to deviate from common sense. The justification statements, for a utilitarian low quality architectural proposal such as this are completely ridiculous. Highland Council though. Probably think this is cutting edge.